The two images that I submitted to the Amalgamate show (as part of the Find Art Festival). HAPA FACE II was accepted, which is hanging at thirtyninehotel. 8.5 x 11 inches, laser print on transparency. After running a face recognition scan on my hard disk, the sheer number of persons that the software detected took me by surprise. Even after limiting the images to recent years in Honolulu, there were many many persons that I had never seen or met—and yet I was being asked to either name them, or leave them classified as "The Unnamed" and "The Unknown". 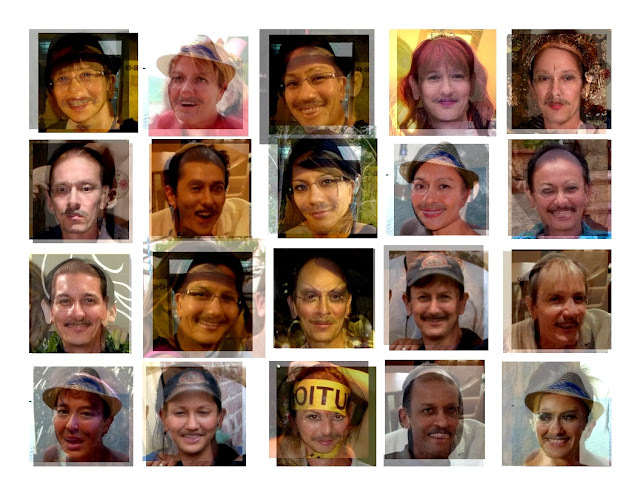 Instead, I superimposed the unnamed and the unknowns to create a new set of faces—who now will never be named or known! 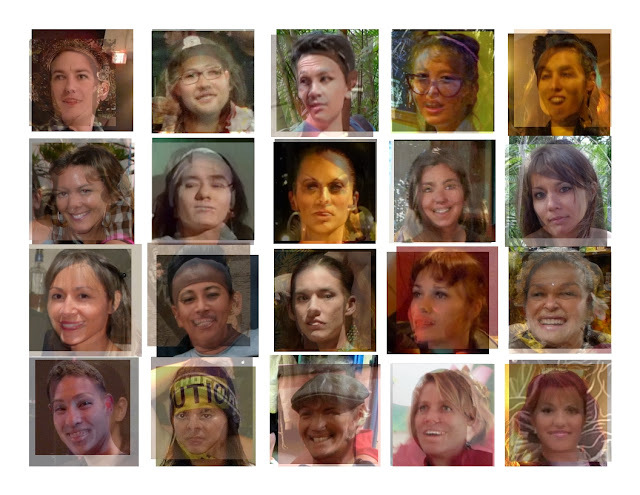 I was annoyed by the "social" software that was asking me to name the faces that were detected on my laptop. As a reaction, I superimposed these faces onto images of myself to create yet another set of entities, who will remain nameless forever. These fun and rather peculiar depictions represent the intermixing and the interactions of myself within the social circles here in Chinatown, Honolulu.